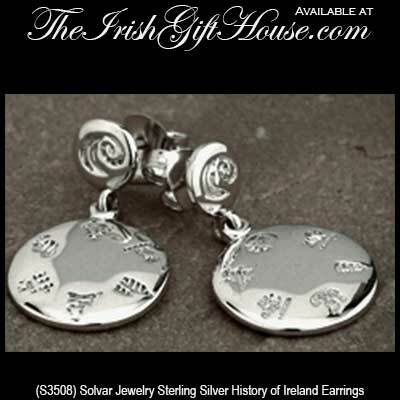 These round History of Ireland earrings are crafted in sterling silver and they measure 5/8" wide x 1” tall. Half of the twelve History of Ireland icons are engraved on each of the drop earrings that are fitted on posts with butterfly backs. History of Ireland necklace features all 12 icons engraved on one side of the sterling silver doughnut shape pendant.